It's tower defense with a twist, along with some vampire blood for good measure. Go ahead. Rise from your grave. Here's one thing you won't find in this week's collection of mobile games: slim pickings. There are a bunch of titles to enjoy across iOS and Android, especially the former, where users can take a trip to Happy Street, fight evil in Agent Dash and revisit the old classic, Alien Breed. That said, the awards went to games that gave us new and cool ways to play. We don't know how many tower defense games exist across all platforms, but it has to be hundreds, if not thousands. You figure, the genre has been around for decades, and yet it took this long for a developer to blend first-person shooter gameplay into the usual defense-building formula. On that note, major kudos to Chillingo and Colossal Games for unleashing Commando Jack upon the masses. 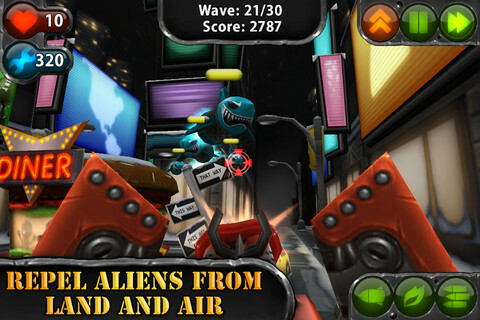 This tower defense title offers unprecedented control by allowing its users to hop inside the placed turrets and shred waves of aliens. It's a thoroughly intense experience that perfectly compliments the head-scratching component; salty and sweet, if you will. Great stuff. One of the biggest challenges facing Japanese designers involves creating a game tailor made for western audiences. Well, we're proud to say the creators of Blood Brothers met this task head-on and succeeded marvelously. 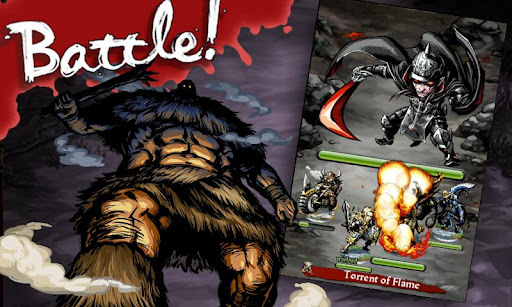 A Mobage-powered joint, this fantasy game casts you as a vampire that uses blood to create a stable of powerful monsters, whereupon which you set off through a board game-style environment to defeat enemies in automated battles. Where you do go from there? How about resurrecting fallen foes to join your terrifying band of creatures, and fusing doubles to make a more effective unit? If that sounds appealing, then step right up and experience this bizarre yet immensely satisfying RPG-Pokemon-Tamagotchi hybrid.